Tracking is quite important in an MGF. 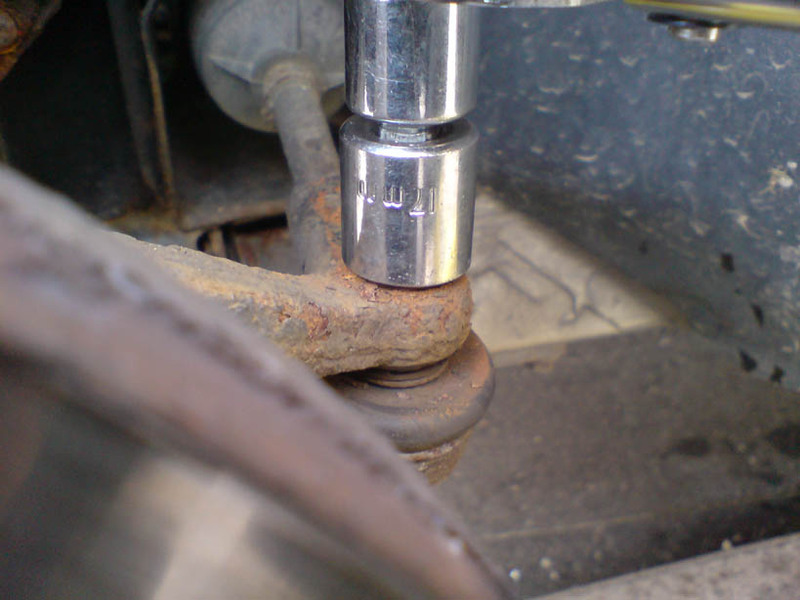 The track rod ends (along with upper and lower ball joints) also seemt o be a favourite for MOT fails. For under 17 pounds , YES under 17 pounds, I have truly transformed my souspension. Its like having a new car!! 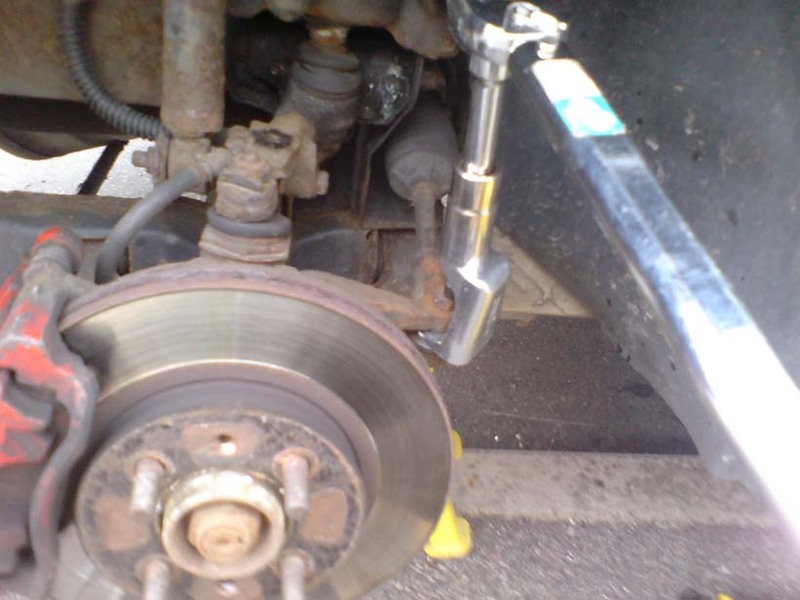 To confirm, remove wheel and move disc, you should see track rod end moving. These are important suspension components and you should only attempt if confident. 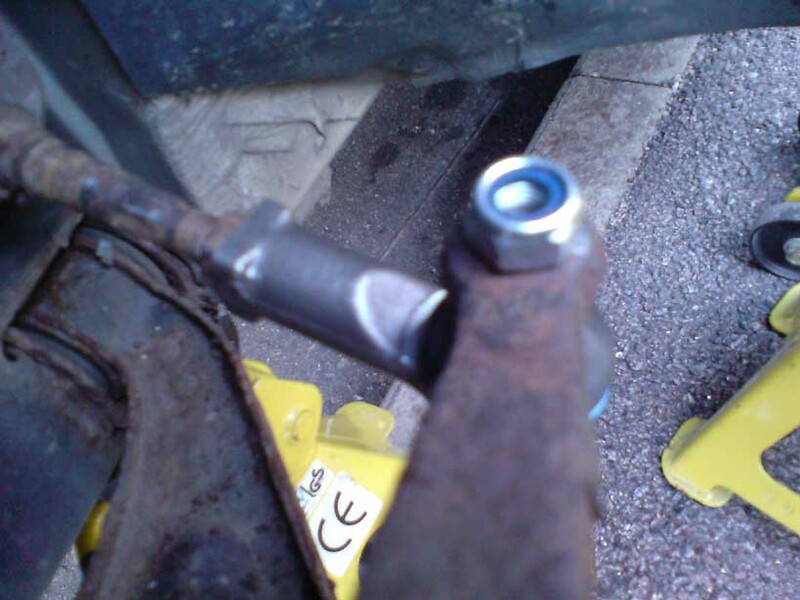 Once nut has been removed, simply tap top of track rod end (TRE) with a hammer (plastic or wooden preferred), or something to get TRE out of socket. It can now be removed. 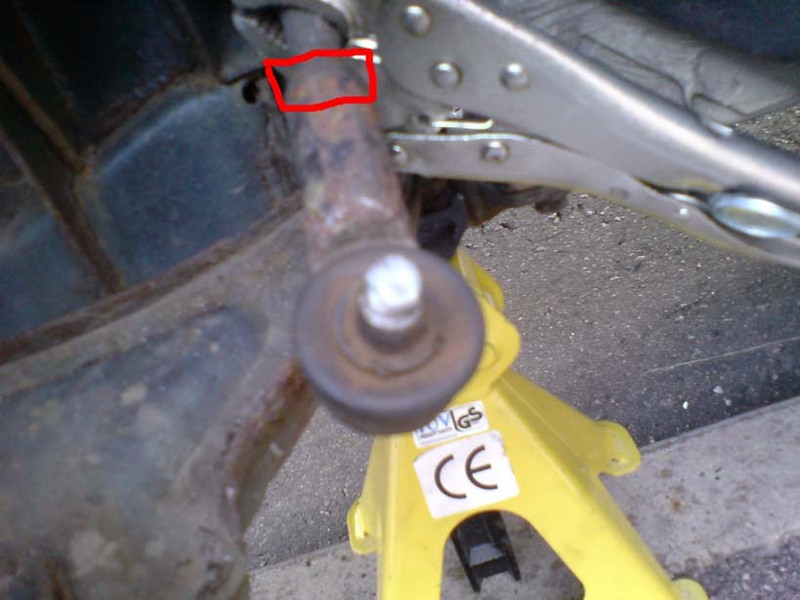 If you followed my advice in number 1 above, you have already slackened the bolt which seperated the TRE from the track rod (highlighted in red in picture). If not, you need to somehow stop the TR from rotating (pliers/mole grips) so you can loosen the nut. This took me a long time, so do it at step1. 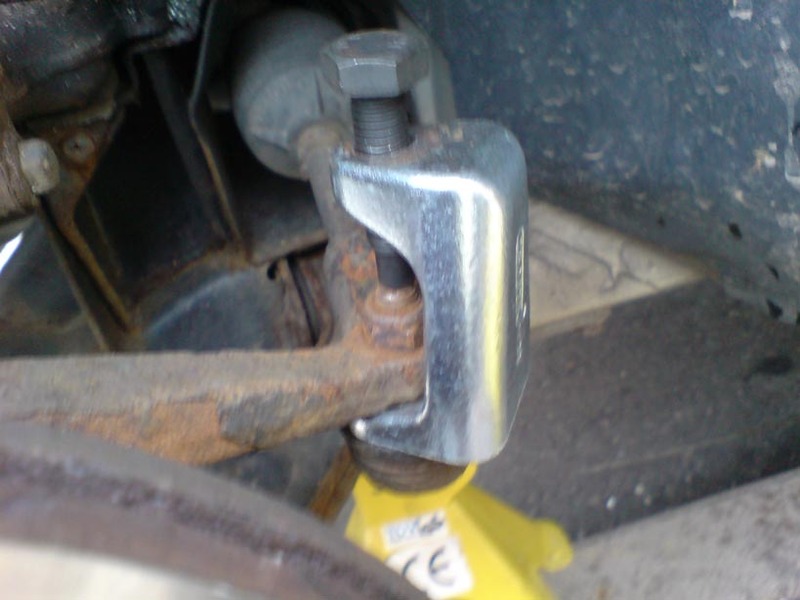 This is like a brake caliper bolt, in that as it is facing away form you, it is essentially backwards, so to undo you turn clockwise, as opposed to normally tightening bolts clockwise, otherwise you will spend all day tightening it !! Now you can undo TRE. COUNT how many turns you took to remove it (although it should not change much). Unscrew and simply screw on new TRE back on same amount of turns. Now add the new locknut and tighten to 50NM. You can now re-tighten the nut on the TR Job done!! Replace wheel and notice how solid it is when you try and move it . IT IS ADVBISABLE to get car tracked using 4 -wheel laser tracking as you have effectively replaced the parts wich control tracking, and likely to have altered tracking set up. I was amazed at the difference. Bumps in road have disappeared, car is quieter (less knocking). Speed humps are a dream to drive over!! And it cant fail an MOT now!!!! 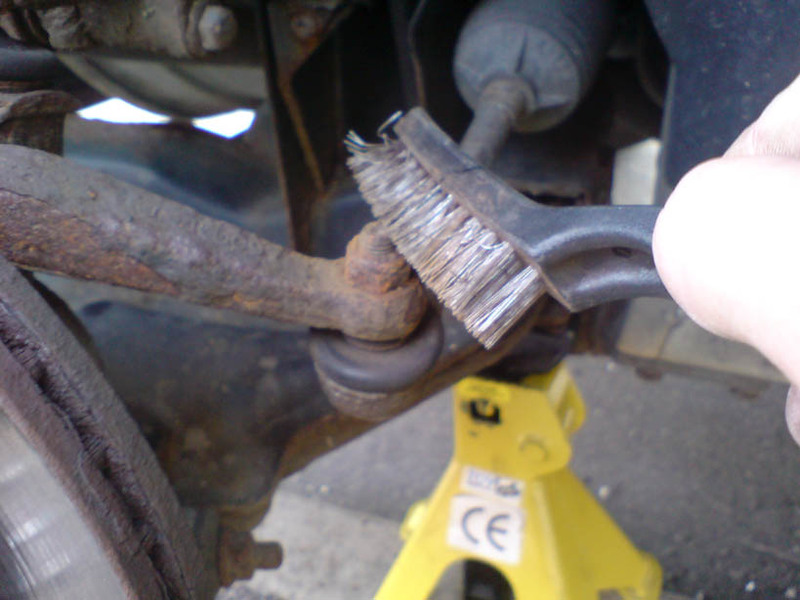 Difficulty rating: With rigfht tools and confidence to remove wheels and to hammer bits etc, I would say 2/10. It was probably a 3/4 out of 10 for me as I used the splitter wrong, but the driver side was an absolute cinch. Just remember the tracking may now be out and should be checked!